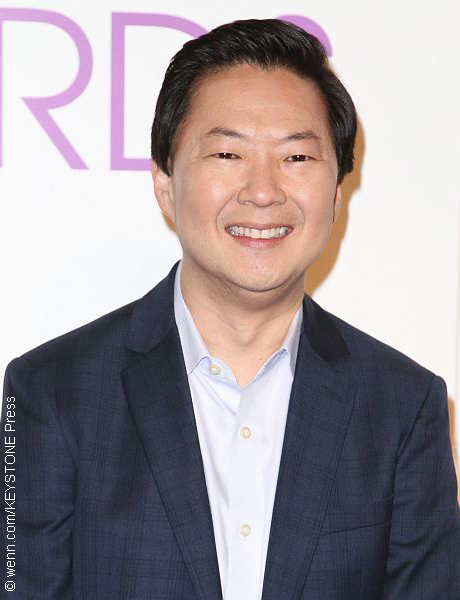 Doctor-turned comedian Ken Jeong reminded the world he’s not just an actor when he jumped off stage in the middle of a show to help an audience member who was having a seizure. The Hangover actor, 48, was performing at the Stand Up Live comedy club in Phoenix, Arizona on Saturday when a woman in the third row began having a seizure. Jeong, who gave up his real-life medical practice to pursue a career in comedy, leaped from the stage and joined an EMT who happened to be in the audience. They attended to the woman until paramedics arrived. The actor’s representative, Michelle Margolis, confirmed reports that Jeong responded to the woman when he realized she was in need of medical attention. “A woman had a medical emergency during the show. Ken thinks its heckling, when people are asking for his help. He jumps off stage to assist. An EMT helped, too. Then on with the show! Great night! He is gracious and grateful…AND flipping funny!” she wrote. Holmberg was interviewed by USA Today and revealed Jeong could not see the woman was in distress because of the lights in the club. Once he understood the situation, however, Jeong cleared the area and attended to the woman, who regained consciousness and returned to her feet. TMZ reported he stayed with her until an ambulance arrived, at which point he returned to the stage to a round of applause from the audience. Jeong starred in the ABC-TV sitcom Dr. Ken, which he created based on his experience as a doctor prior to becoming a stand-up comedian. He received his medical degree in 1995 from the University of North Carolina at Chapel Hill and began moonlighting as a comic before moving to Los Angeles where he performed in comedy sets after days spent working in an HMO clinic.